Last night four middle aged men tried to relive their teenage years of playing some classic Duke Nukem 3D in co-op. 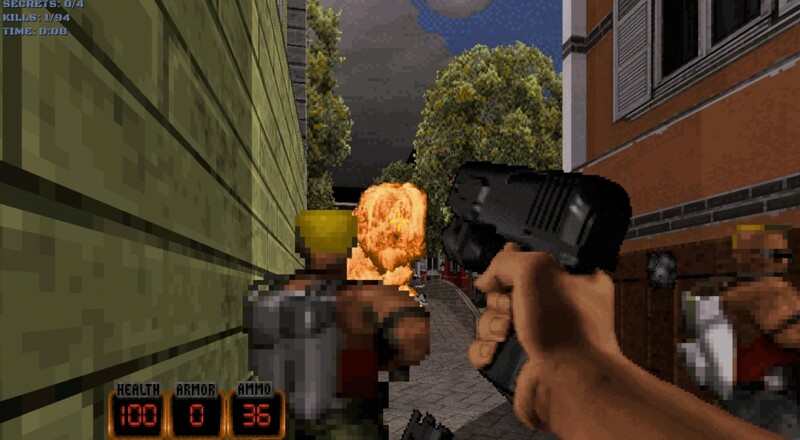 The recent release of Duke Nukem 3D: 20th Anniversary Edition World Tour gave us a chance to not only check out the game with some fancy new visual effects, but all new levels designed by some of the game's original creators. We were stoked. Unfortunately for us, it seems the game doesn't have a very stable online architecture. We sadly couldn't keep a connection long enough to even complete a level. This was a game that used to run over 14.4 Modems, and the only time it would disconnect is when your Mom accidentally picked up the phone. MOM!!!! Don't go on the phone for the next hour, I'm playing on the computer with Dave! The good ol days of gaming. Still what's included with the new release is promising, let's just hope we get a patch to fix the disconnection issues. Page created in 0.9864 seconds.